Brian Turner was hitting well for AA Norwich in July 1995, .305. But he was also in danger of losing his job, according to The New London Day. That's because the seventh-year player wasn't a prospect, he was basically a fill-in player. And a new player, Tyrone Horne, was expected to leave even fewer time for Tuner, The Day wrote. "I'm disappointed because even though I'm doing my best, they still don't want me to play," Turner told The Day. "It's not Tyrone's fault. He's a good player." Turner ended up getting into 86 total games for the Yankees' AA squad that year. He played in just one more season. He never made AAA. Turner's career began in 1989, taken by the Yankees in the 40th round of the draft out of Grand Valley High School in Ohio. 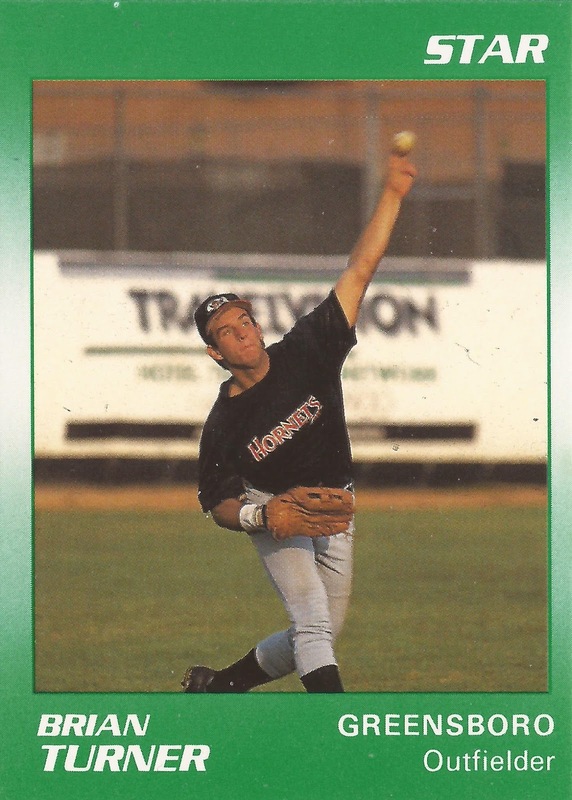 Turner started in the rookie Gulf Coast League. He hit .207 in 50 games. He moved to single-A Greensboro and short-season Oneonta in 1990, then returned to Greensboro for 1991. In 1992, Turner played at high-A Fort Lauderdale. He hit .236 there in 127 games. He went 2 for 3 in an April game. Turner got his first brief look at AA in 1994, two games at Albany-Colonie. He played the rest of the season at high-A Tampa. He hit a home run in a July game with Tampa. He then arrived at AA Norwich in 1995. He hit .296 on the year. After a 3-for-5 performance in early July, Turner's manager Jimmy Johnson told The Day he recognized Turner's good play. "Brian Turner is hot right now, I have to take advantage of that," Johnson told The Day. "Hopefully the Yankees will let me do that." That was Turner's final season in the Yankees system. He played 1996 at AA in the Twins and the Mets systems. That was his final season as a pro.